Safe Search Kids is powered by Google for filtered search results. Safe Search Kids delivers safe filtered images, powered by Google. 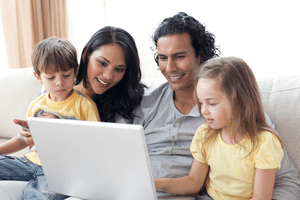 Safe Search Kids delivers safe wiki articles for kids and teens. Search for safe filtered videos from a variety of trusted sources. Policies on the use of cell phones in school vary. While most schools have thorough written policies in place regarding the use of cell phones by students, these guidelines are continually being reviewed, revised and updated on a regular basis for a variety of reasons. As cell phone used in and around schools evolves and becomes more pervasive throughout society in general, educators are also finding that the age of the typical child with a cell phone in school is getting younger. With added cell phone features becoming standard, such as photo and video cameras and recording devices, educators face new issues that did not exist a few years ago. Issues of this nature were first addressed with high school students, and in recent years students using cell phones in middle schools needed guidelines. Today, we see that even elementary schools are now part of the cell phone debate. The debate over cell phone use in school is no longer about whether or not these devices should be allowed on school premises. The fact of the matter is, parents expect to be in contact with their kids before and after school, as well as during lunch hours for those kids who leave school grounds. The cell phone may also facilitate students in planning after-school work and other activities, such as sporting events. It is no longer reasonable for educators to expect students to turn in their cell phones at the door and pick them up when school is over. Requiring kids to leave cell phones in the lockers, also increases the risk of theft on a larger scale. Since students are not prevented from carrying cell phone on their person, the risk of camera phones being used to take photographs of quizzes or exams and transmit them to classmates is of greater concern, not to mention the ability to text or instant message other students. In addition, pictures may be taken at home of notes that can easily be hidden within a phone and later used to cheat on an exam. While restricting any use of a cell phone in the classroom is just a matter of common sense, policies around cell phones in school revolve around ‘how to control cell phone use’ during those times throughout the school day when kids are roaming free, such as before school, at recess, lunch breaks and after school class hours. Camera phones can be used to take embarrassing photographs of classmates in private areas, such as restrooms and locker rooms, and share them with others electronically or posting videos on YouTube. This technology raises legal issues of privacy and sexual harassment. Cyber bullying also becomes more of an increased issue with access to social media sites, not to mention the distraction that social media and texting can pose to educational process for any child. Cameras on phones can have educational benefits, giving students the ability to record field trips or school events, to enhance reports with visuals, and to develop photo essays. We have also mentioned the benefit for kids and parents to be in contact with each other, even if to only schedule pick up times. Smart phones also give students easy access to the internet, which can be a benefit for research (replacing the use of a computer within the school) but can also open up potential concerns about cell phone safety for kids who are out of the watchful eye of their parents. The use of cell phones by teachers is also part of many school policies. The main concern is whether cell phones should be used during school hours for personal business and therefore distracting teachers from their duties in offering students their undivided attention in the classroom or during the supervision of an exam. Any school policy regarding cell phones in school must also include disciplinary action for various activities involving cell phone use that is contrary to existing policies laid out. There should be set consequences that match the severity of the misuse, as well as reoccurring violations by an individual student or group of students. The most common repeat offense seems to be cell phones ringing in the classroom because a student forgot to turn their phone off. There was a time when “not in school!” was an important rule set for teenagers or children and their cell phones. Things have changed (rather quickly) and cell phones are now welcome in schools… with some guidelines, of course. Smart phones can help students get more organized in school. Bringing a phone to school lets children communicate with their parents if they need to stay after or have forgotten something at home. Personal phones can be used in the event of an emergency or accident. – Cell phones can be used to cheat in class. – Cell phones can be a distraction in school. – Cell phones can be used for bullying, including taking inappropriate or unwanted pictures and video. – It can be very challenging for a teacher or school staff to closely monitor each student and ensure that school cell phone policies are followed. 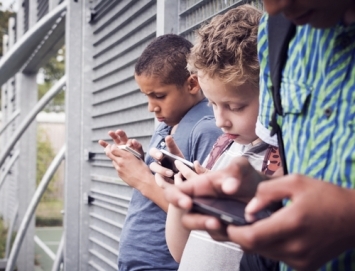 – It is unhealthy for a child or teenager to depend on their cell phone for entertainment, or excessive communication with others when they should be focused on school work. 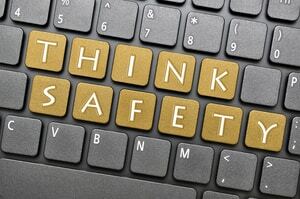 – Safe practices while searching the internet are just as important on a phone than when using a computer. Since school policies have approached this topic with an open mind, it’s up to the parents to make sure your child will follow the guidelines and show responsibility when bringing a phone to school. After all, it would be unfair to expect your child to leave their phone at home (since they are allowed in school) and having a cell phone can be helpful in case of an emergency. Check with the school to find out what the policies are, and use your best judgment to add your own expectations. For example, some schools may allow students to have their phones on during lunch or between classes, and you may not agree with this. The trick with cell phones in school is that students should not leave valuable property in a car or locker, because it could get stolen. So it is up to the student to be responsible and leave their phone turned off (not just on silent) during class. So as the parent, you can watch to see how “addicted to their phone” your child is, and at your own discretion determine if the benefits are worth the risk. Parents: Read about Cell Phone Safety Tips! To Post or Not to Post on Social Media! Why Do Some Kids Love School? Do you Know the Facts before You Judge Others? Can Social Media Make You Sad? What Would the ‘Future You’ Post? What News Should Students Use? Is Your Social Media Profile Truly You?